David is a member of Weld Riley’s Labor & Employment section and expands the firm’s representation of both private and governmental entities. 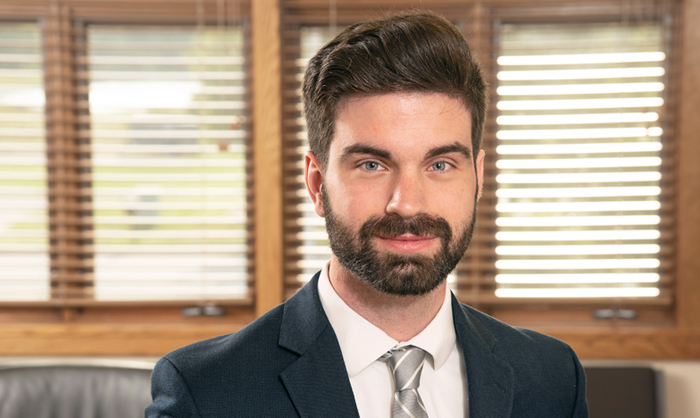 Prior to law school, David pursued his interest in politics by working as a legislative assistant for various State Representatives in the Wisconsin State Assembly. David earned his undergraduate degree from the University of Wisconsin-Madison. Always enjoying writing, David graduated with a Bachelors of Arts in Journalism. David put his degree to work by contributing to the sports section of the University’s newspaper, the Badger Herald. He earned his law degree from Marquette University Law School, graduating with honors in 2018. David is a member of both the American and Wisconsin Bar association. While in law school, David was an associate editor for the Marquette Law Review. He also served as a personal research assistant to the law school’s dean. David resides in Eau Claire. In his spare time, he enjoys playing and watching basketball, running, reading, and spending time with his family. One of the largest firms in the region with offices in Eau Claire, Menomonie, Black River Falls, and Menomonie, Weld Riley is ideally suited to provide the assistance you need. Contact us for a consultation today!